Ballet is one of the most traditional genres of dancing that focuses on turnout, flexibility, soft and graceful arm lines, posture and leg extensions. Ballet has it's own unique vocabulary and is beautiful to perform and watch. Jazz is a fun and energetic style of dance that enhances flexibility, coordination and technique. It combines strong and dynamic movements to upbeat popular music. Tap is a fun genre of dance where students use their feet to create sounds and rhythmic patterns. 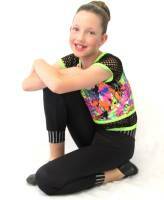 Tap also enhances the dancer's musicality and rhythm. Hip Hop is a cool and funky, high energy dance style that includes a variety of urban dance moves. Because of this, hip hop is a very popular genre. Neo Classical and Contemporary combines the technique of jazz and ballet in the one genre. This genre enables the dancer to easily express their emotions and gain fluidity in the movements with control and grace. Acrobatics classes allows the students to improve their flexibility and strength. The class includes basic tumbling and other acrobatic tricks and lifts, while incorporating dance elements. Twinkle Toes is a fun, engaging and creative class. This class teaches ballet and jazz dance, as well as exploring movement, mime, music, magic, make-believe and much more. Musical Theatre classes are the ultimate performance class, including elements of, acting/dialogue, song and dance. This class is sure to be entertaining and fun to be a part of. It is a fast paced, dynamic sport that encompasses stunts, tumbling and dance components. Cheerleading classes will be heaps of fun. 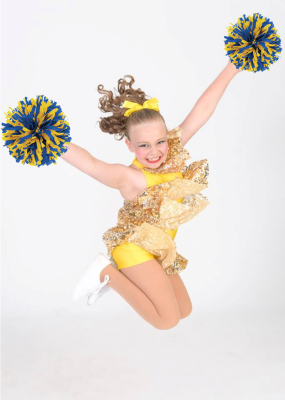 Kingaroy Dance Academy also incorporates Stretch & Strength in classes, and also offers Performance Teams.